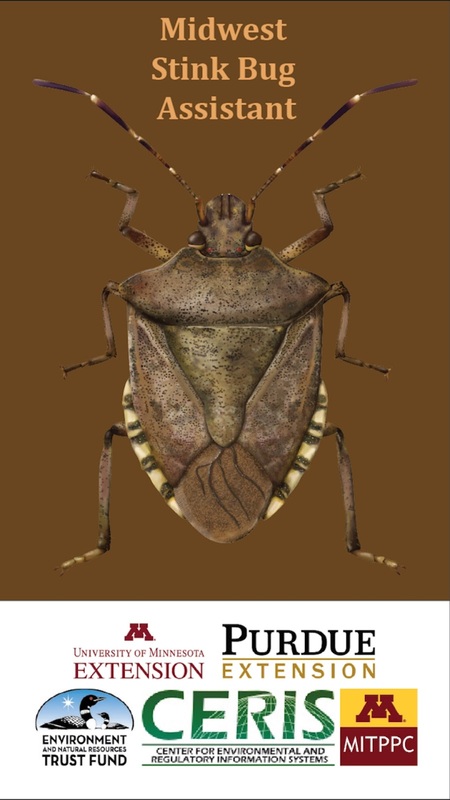 ST. PAUL, Minn. (4/10/2018)—Minnesotans are encouraged to use a new app to help researchers identify an unwelcome invasive insect—the brown marmorated stink bug—and prevent its spread. Although the insect has been identified in Minnesota, it has not yet spread widely to commodity crops, fruits or vegetables. “Because the insect overwinters in Minnesota, researchers encourage use of the app in early spring and summer. In recent years we have observed the bug begin emerging in May, with activity increasing in summer and fall,” Hutchison added. The app is for free for both Apple and Android users. It was developed by University of Minnesota Extension, and Purdue University, with funding from the Minnesota Invasive Terrestrial Plants and Pests Center. Hutchison said he and his colleagues particularly encourage farmers, gardeners and crop consultants to use the app. 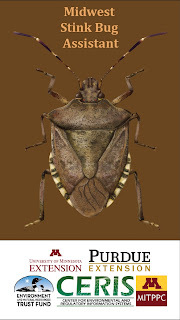 The app features high-quality illustrations, side-by-side comparisons of insects and an easy-to-use photo function to report suspected brown marmorated stink bugs. Once a user reports the bug, an expert in each state will be contacted to verify the identification. If confirmed, the new specimen will be added to a national database (EDDMapS). The brown marmorated stink bug was first found in Minnesota in 2010 and it’s known to overwinter in the state. Hutchison and his colleague, Byju Govindan, recently discovered the insect can produce two new generations per year in Minnesota. This finding indicates the bug is adapting to Minnesota’s climate, and more adults may overwinter in homes and heated structures. In some years, more crops will be at risk due to the added pest pressure. Support for the app was provided by the Minnesota Invasive Terrestrial Plant & Pest Center (MITPPC) with funding from the Environment and Natural Resources Trust fund as recommended by the Legislative-Citizen Commission on Minnesota Resources (LCCMR). Artwork, photographs and text were developed by Theresa Cira, and Bill Hutchison, both with the Extension integrative pest management program (E-IPM funding via USDA-NIFA), and Department of Entomology. IT support was provided by Eileen Luke and staff, at Purdue University Extension.